Our garden is only just waking up and taking its time about it! Camellias are beginning to bloom and the magnolias are in bud. We are keeping our fingers crossed that the frosts keep away, as we have been caught like this in the past. Our garden pond is so “quiet”: no fish at all. That means the heron has been around and taken them all: even the larger ones. I think this time we will just give up as it is so sad seeing our lovely Koi disappearing. We had mink once eating everything they could see. They had been set free by Animal Rights people. Maybe a hungry one is still around. We don’t have tadpoles as the pond is too deep. 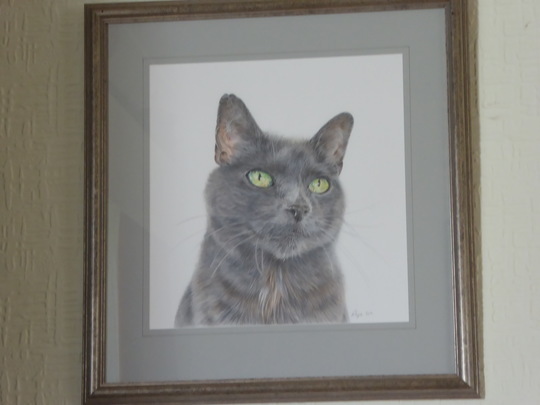 Our little rescue cat is fifteen this month. She has hyperthyroidism and needs monthly medication. She also has to have some teeth removed. I am not looking forward to trying to find suitable food after the latter op. The same birds visit every day and they get through a lot of bird seed. We buy one without wheat as we found the latter left, and it was such a waste. Two fat pigeons are around as are two young squirrels. 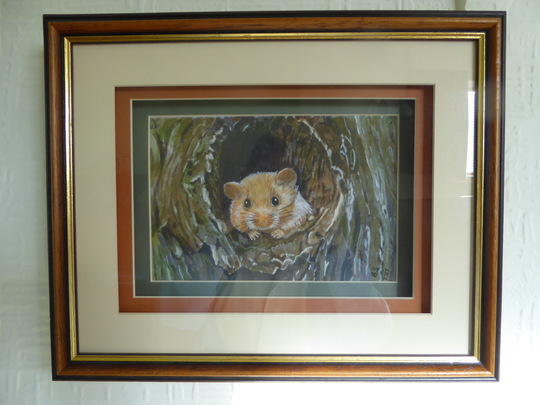 Inside we have quite a menagerie! As you can see from the images they don’t need any attention at all, apart from dusting. You have seen some of them before! 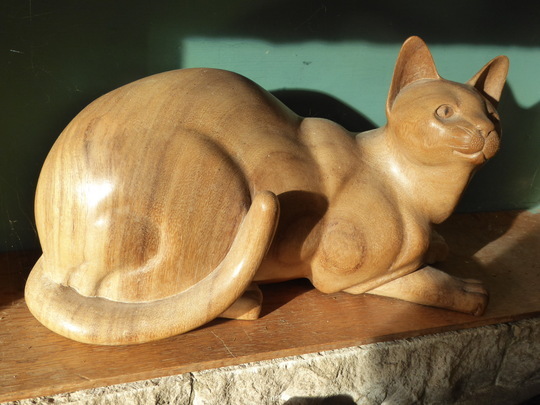 My OH and I both love carvings, and we have been tempted to “immortalise” our little cat in pottery, and in art form. The Internet has a lot to answer for! Can’t resist posting this carving after Wales’s victory on Saturday!! The carver said he wouldn’t carve another dragon after the time it took him to carve this one! 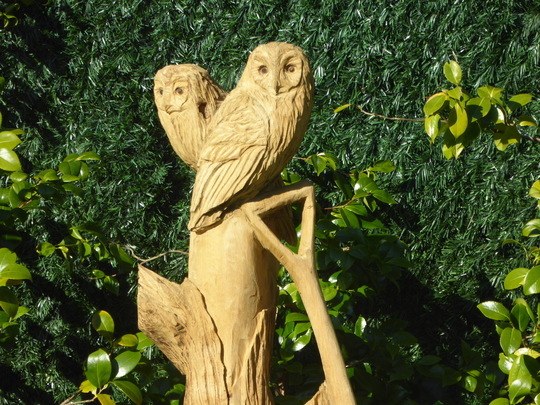 Our latest garden attraction is the chainsaw carving of the two owls. Everyone seems to fall for this. A young man from Wales carved this, and his benches, complete with owls, or red kites, or bears, are very tempting! And lastly, but by no means least, I love the print that Brian so very kindly sent me. I feel quite cheered up every time I look at this image. 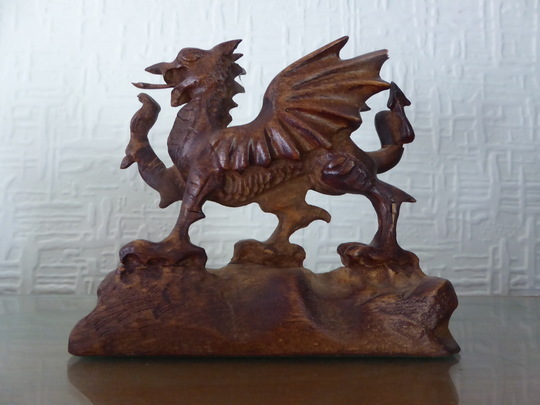 The wood carvings of the dragon and wren/mouse are so beautiful.... Wasn't it a great match on Saturday... Well done Wales! 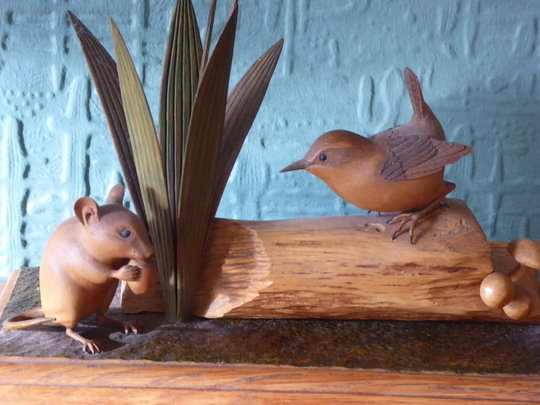 The mouse was our first commissioned carving. We had to wait a year in a queue! How sweet they all are love the Dragon so much detail gone into it. Congratulations Wales was Max Boyce there? They are all unique ... I couldn't pick a favourite as they are all so lovely. They are lovely. As for food for sage, if you are thinking wet food till her mouth heals a bit, some makes do what they call Patè. Most are smooth and easy to eat. My Star loved the fish ones. Most of the supermarkets sell them. They also do for seniors. 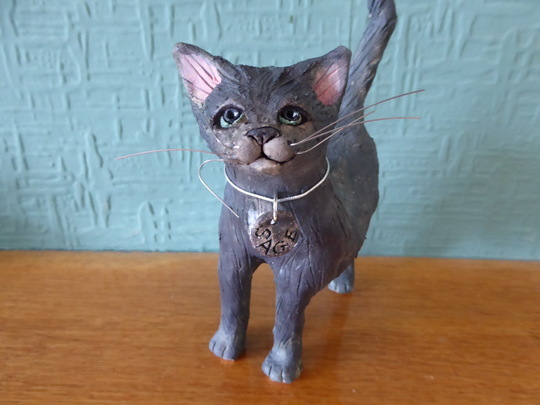 The one I used to get was Gourmet salmon and ocean Fish selection senior cat food but do needs to feed them about 3 cans a day and each can is about 50p. Some beautiful carvings, a lot of talent there! Wow those carvings are fabulous, I don't think I could decide which one is my favourite, all of them. I think your little cat will be okay, as said you can get the Pate selection, in fact my Whiskas Pouch Selection does have a lot of them in it this time, your indoor cats are lovely as is that print..
Sage is a lovely little cat but very possessive where I am concerned. She follows me everywhere and if anyone calls, she is there. Our gardener calls her The Supervisor! I will be getting the pateselection and, possibly, cat soup for her when she does have her teeth seen to.